Every swimming pool system requires a good number of parts and pieces for it to not just simply function, but to ensure that everything operates as smoothly and as hassle-free as possible. Making sure that your pool has all the parts and equipment it needs is always an important factor. For your pool equipment to be able to provide the experience that you want from it, having high-quality equipment installed is always a good investment. Pool pumps, sweep pumps, filters (DE filter, cartridge filter or sand filter), heaters, computers, time clocks and freeze guards all work to keep your pool clean and safe when properly serviced. For this reason, we at Sterling Pool Services are here to offer you top-of-the-line swimming pool parts and equipment. Having provided our services to homes and businesses for more than 30 years, we have established ourselves as a trusted authority when it comes to the installation and operation of pool equipment. If you’re having difficulty deciding what type of equipment to get, there’s no need to worry, as our team of professional and highly-trained personnel can assist you and recommend to you the best types of machinery and parts to suit your specific needs and budget. Our team can also provide assistance with its installation and also guide you in setting it up, as well as learning how to operate it. 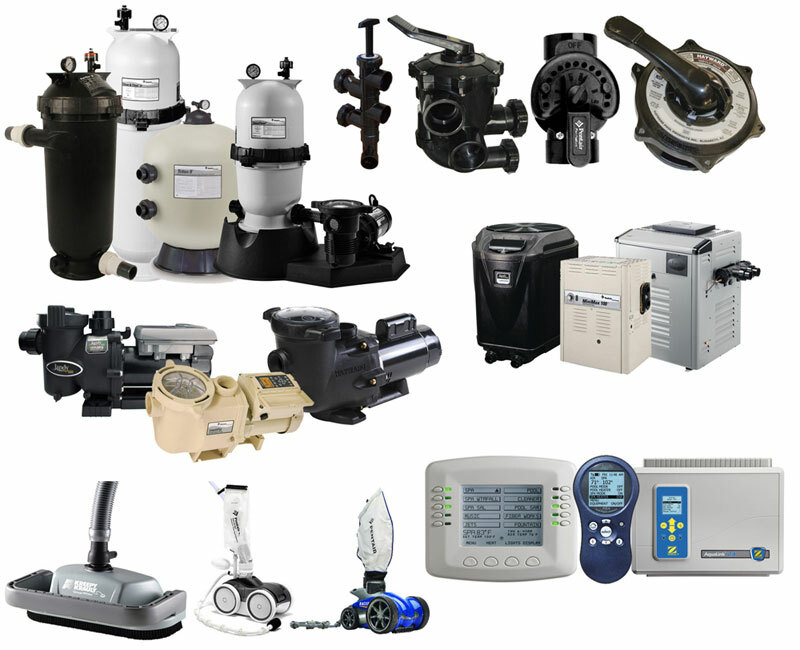 For any of your swimming pool parts and equipment needs, give us a call at 888-973-0274, from 8:00am to 4:30pm Mondays through Fridays, or send us a message via our online contact form, and our friendly and helpful staff will be happy to answer all of your inquiries. Make sure to also inquire about our weekly service agreement and pool renovation offers!